The Forever Pak is a total health and longevity system, designed to support optimal well-being and youthful aging. The Forever Pak consists of one (1) bottle of IsaGenesis™ and two (2) canisters of the IsaLean™ Shake, in chocolate, strawberry, or vanilla. 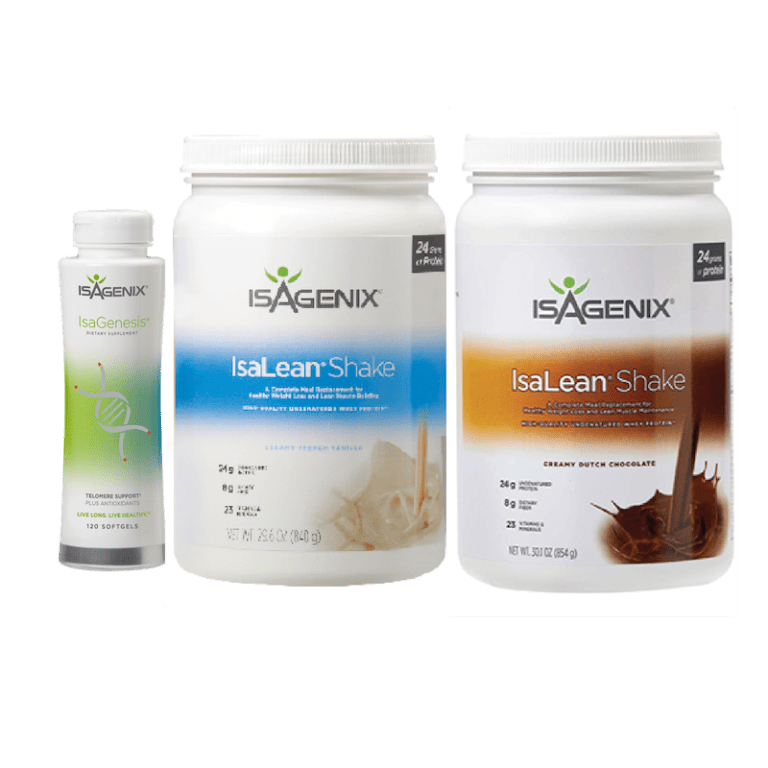 These IsaGenix® products have been specifically formulated to create a leaner, healthier, more youthful and vibrant you. Disclaimer: These statements have not been evaluated by the FDA and are not intended to diagnose, prevent, treat or cure any illnesses or diseases.